If you are visiting this party I know you are up for a good challenge. 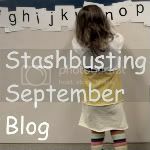 Please sign up for Stashbusting September. You know you have some stash to bust!